Wrap it, make it, bag it or box it – with Kraft! 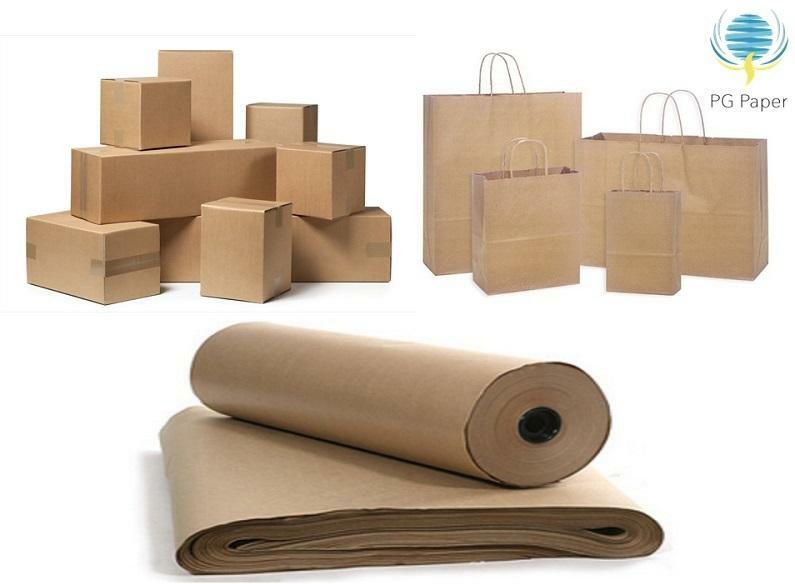 Kraft paper, also known as paperboard or cardboard, is an everyday product used in an extensive range of applications, from point of purchase packaging at deli counters, bakeries and supermarkets – to heavy-duty industrial packaging. There are so many kraft paper uses. The versatility is possible as a result of its availability in a comprehensive range of grades, finishes, weight and colours. 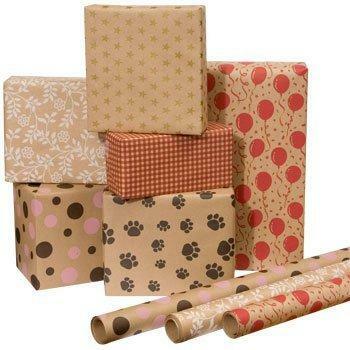 Kraft paper is a high elasticity and high-tear resistance paper, made from both virgin and recycled chemical pulp. It’s available in 30-300gsm ranges and is offered in a natural brown, or it can be bleached white, depending on the requirements of the particular business or manufacturer. Fully bleached (white) and brown kraft are both high quality papers with strength, brightness and high tear resistance. Machine glazed or MG kraft is known for its high rigidity and durability. An innovative processing method produces a unique high gloss on one side which gives MG kraft paper excellent density, and printability. MG is commonly used for food packaging, shopping bags and other non-food items, such as hygiene release liners. Smooth finished or SF kraft provides a soft calendar which is suitable for bespoke, high-quality printing. SF kraft is used for reel wrapping, carrier bags and also for ‘fill & seal’ food packaging options. This is the most versatile paper in the kraft family. Its stiffness makes MF kraft paper a perfect match for high speed converting machines. MF kraft is widely used in the manufacture of protective products, carrier bags, corrugated boxes & containers. It is also suitable for aluminium foil lamination and other industrial applications. Which kraft paper for your project? Printed kraft offers great versatility and is widely used for branded wrapping across a wide variety of industries. Food manufacturers and fast food restaurants for example, use printed kraft for wrapping all food orders, with the kraft carrying their company branding and any other promotional or pertinent information about the item within. Fashion manufacturers also use printed kraft extensively. It is used to wrap individual articles or perhaps to wrap shoes within their box. It adds another branding opportunity as well as offering another way to differentiate a product. Virgin natural kraft is the most popular and cost-effective kraft paper option, due to its durable fibre content and relatively low cost. It’s a popular choice for branded packaging and wrapping within the food sector. It is also used widely for protective layering, pallet interleaving and career sheets. Its high tear resistance also means that it can be used for other more heavy-duty applications. Natural and recycled kraft is the environmentally-friendly packaging option. It is not as strong or as tear-resistant as virgin natural kraft, but it has enough strength for dunnage and void filling process. It is also used for the tray liners, box liner and newspaper’s bottom wraps. Black kraft paper is commonly used for the dark backing of picture frames because of its durability. This paper is also popular for arts and craft projects. Kraft is available in an extensive range of vibrant colours which makes it the perfect choice for all manner of craft projects, as well as exciting backings for notice boards, regular school supplies, scrapbooking, and many other similar applications. 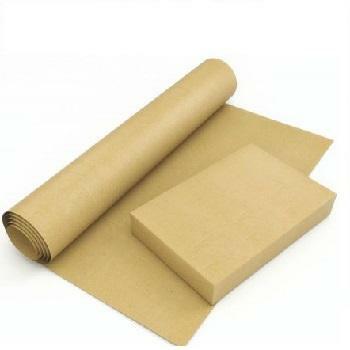 Bleached kraft or white kraft paper has similar properties to virgin natural kraft. 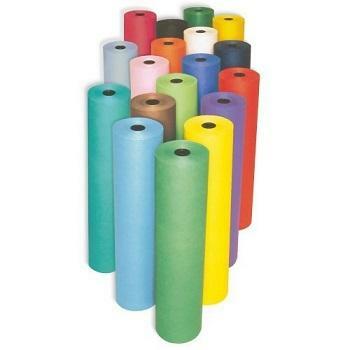 It is strong and durable and therefore ideal for heavy-duty applications that need a high level of tear resistance. It is also perfect for attractive and economical packaging and wrapping. Another application, due to its clean and crisp appearance, is as an economical alternative to linen tablecloths and napkins. The team at PG paper can provide you with a competitive quote for all of your kraft paper requirements – whether for a one-off project, or as a regular order. Reach out to the team today at [email protected], to discuss your paper and board requirements.